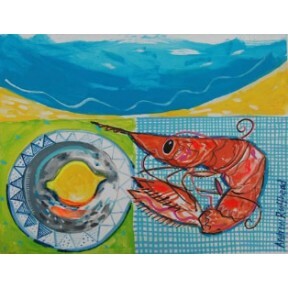 New still life painting in acrylic of a prawn and lemon on a plate. Would look wonderful in a large white frame in your seaside home!! Measures 30 x 23cms .